Ah yes! 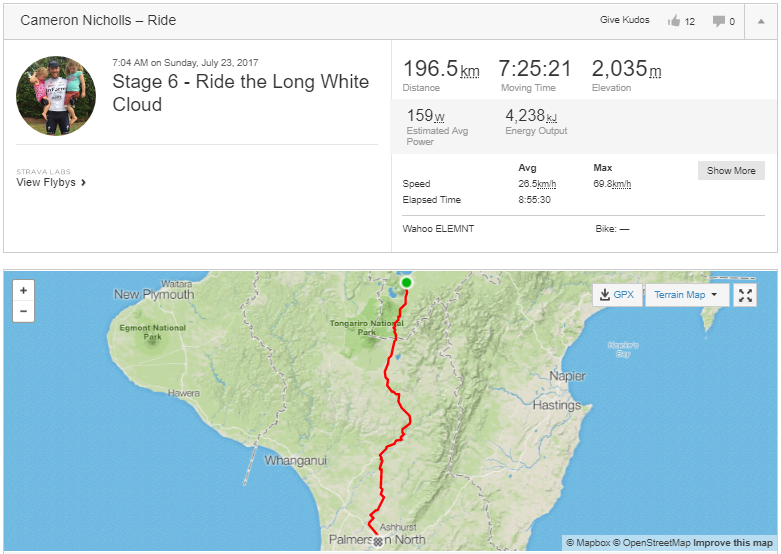 Finally some luck for Cam on day 6 of his solo ride through New Zealand, top to bottom. Gone were the heavy rain clouds and big trucks pushing a small tsunami of water onto an innocent little cyclist as they pass. Instead Cam got the New Zealand winter wonder he had been wanting. Worth a casual 196 km from Turangi to Palmerston North for sure. On top of that, the locals brought out the sunshine too. Over to you Cam. So I pull into Taihape today for some brunch with Alice. We’re at Soul Food Cafe. As I’m parking my bike a guy called Mike (pictured) runs out of the cafe to speak with me. “Were you riding in that downpour yesterday on the way into Taupo? We just passed you on the Desert Rd and I thought it was the same bike rider as you’ve got a fantastic rear light”. “Yes, that was me”, I replied. We get chatting. 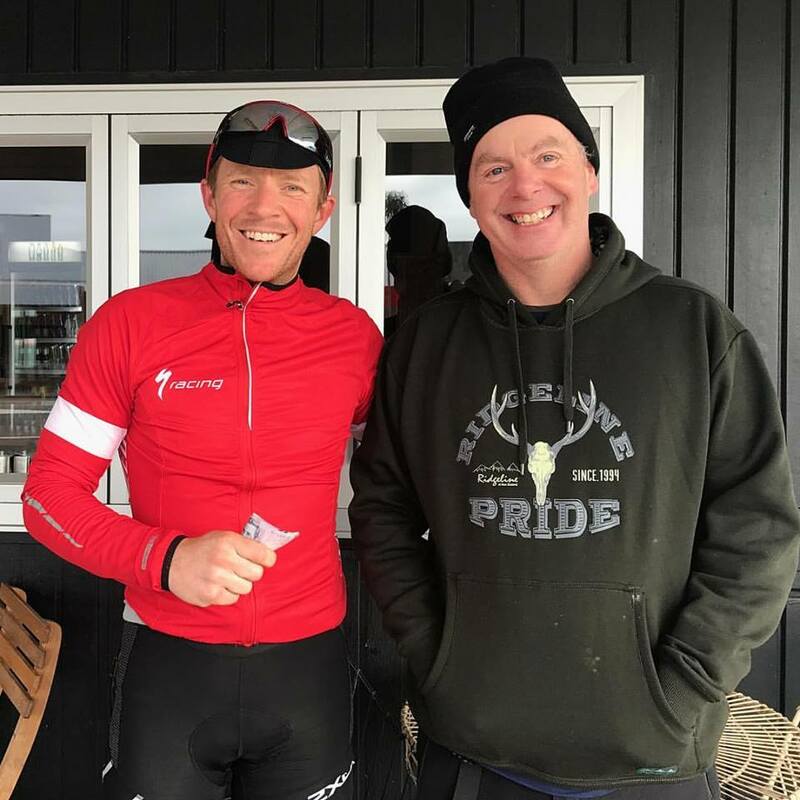 Mike’s brother-in-law is an ultra endurance athlete and he’s supported him on a few of his expeditions. Subsequently, Mike is right into my journey, asking all types of questions, including “why are you doing this”? 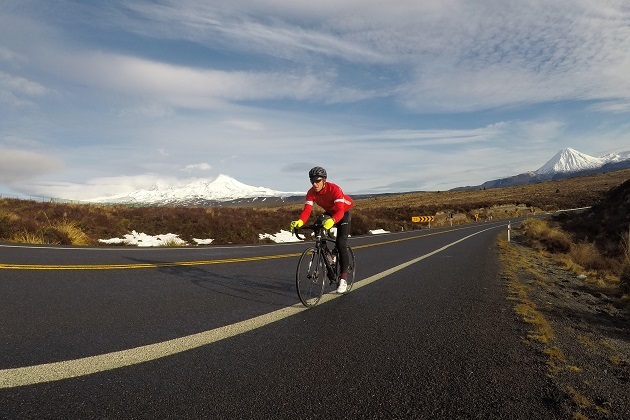 ” Bike Chaser is raising funds for CanTeen New Zealand and CanTeen Australia”, I say. Mike, a local Kiwi with a good heart, and Cam. We conclude the discussions and I head into the cafe to have some brunch. Mike didn’t follow me in but I wasn’t overly focused on why. I wanted to eat! 10 minutes later he taps me on he shoulder. “Here’s 80 bucks for CanTeen. I love what you’re doing”. I thanked Mike for his kindness and tried to grab his last name so I could add him to the donations page. He said “I’ll trust you do the right thing with it”.